Metropolitan Transit System officials Thursday announced it will increase the frequency of some of its busiest bus routes. beginning next week. Under MTS’s Transit Optimization Plan, more than 30 routes will have a frequency of 15 minutes or quicker by the time the plan is fully implemented in June at a cost of $2 million, according to the agency. 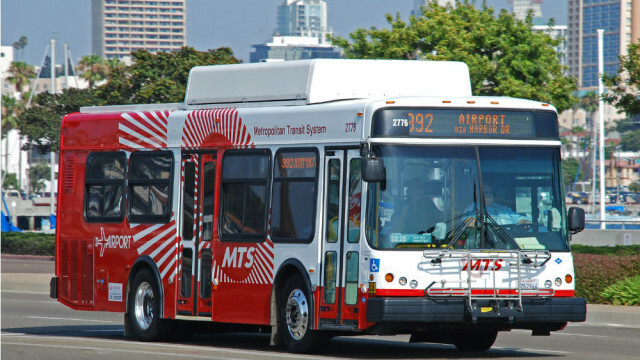 On Jan. 28, MTS will roll out the first changes on some its most frequently traveled routes. Among them is Route 3, which services Hillcrest, Balboa Park and the Gaslamp Quarter, which will see weekday frequency increase from 15 to 12 minutes and Sunday frequency increased from 60 minutes to 30 minutes. Route 5, which services downtown, Stockton, Chollas View and Euclid, will see its weekday frequency increased from 15 to 12 minutes. Route 950, which links Otay Mesa and Iris Avenue Station, will now run every 10 minutes during morning peak hours. Other routes are being split in two to increase reliability. A complete list of changes can be viewed at www.sdmts.com/TOP.